Today I sold my violin. I am kind of sad right now because I no longer can play a violin whenever I wished. However, I I think it’s time to let my baby go. I have several reasons for this, but mostly financial difficulties is the top of the list. I’ve been strained financially for several months now due to my unemployed status/job seeker/master degree seeker. It means I have no income. For several of you, probably you still get the money from your parents. However, my family is poor so I can not ask them to send me money, that will be unfair. I am grown up now, and I should take a responsibility for my action only. That’s why I sold one of my asset. Since I graduate last year, I rarely play my violin and it’s a bit unfair because a musical instrument should be played regularly. 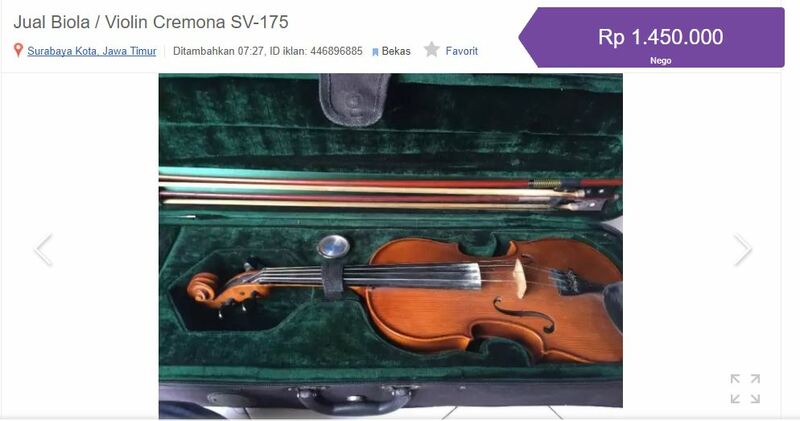 That’s why I put an ad on the OLX and sell my violin. All this money that I gathered will be used for my education and living cost. I really wanted to pursue my master degree. That’s why I need to start being stingy and saving more money. I know it’s hard since I don’t have other resources. Nonetheless, I believe that God will also take care of me.